MiNightVet Nottingham is a small animal out of hours veterinary emergency service, welcoming dogs, cats, birds, exotics, poultry and small mammals. We are is based in Nottingham providing emergency overnight and weekend care to clients. The MiNightVet Nottingham team provide a dedicated emergency service with full-time night staff who will be alert and effective even at unsociable hours. The qualified vets and nurses have a special interest, experience and training in all aspects of urgent critical care. Sarah qualified as a vet from the Royal Vet College in London in 2005 and since 2008 has worked nearly exclusively in out of hours practice, helping animals when they have an emergency. Sarah now leads the MiNightVet team at Priory, providing a first class service throughout the night. At home Sarah lives with her young family and has cats and hens. Rachel graduated from the University of Liverpool in 2012 and spent time working in small animal practices across the UK and abroad before settling back in Nottingham where she grew up. In 2017 she joined the MiNightVet team as a weekend locum and ended up staying! She has a strong interest in our emergency and critical care patients and is undertaking a post graduate certificate in this field. She is also a strong advocate of positive cat handling and reducing stress during hospitalisation. When not at work, she can be found training her mischievous dog, Summer, experimenting in the kitchen with new recipes and horse riding. Lauren graduated from Nottingham Vet School in July 2014. Since then she has worked in small animal practice and has been part of the MiNightVet out of hours team since April 2017. Lauren has many pets including cats, rabbits and poultry. She enjoys spending her free time with her husband and son. Natalie qualified from Nottingham Vet School and liked the area so much that she decided to stay. She has strong interests in emergency and critical care, soft tissue surgery and looking after our older patients. Natalie is particularly interested in intensive care of inpatients and really appreciates the continuity of care we can provide having the emergency out of hours service in-house. She loves getting to know our clients and forming really strong relationships. In her free time she can be found running around the countryside with her Labrador cross Collie, Milly, and riding her dressage horse, Flora. Ellen graduated in 2011 and began working in mixed practice for a couple of years before narrowing down to 100% small animal work. She joined MiNightVet in October 2016 to become a soley out of hours vet because she enjoys the challenges of emergency work, and the opportunities it brings to really make a difference helping pets and owners. Out of work Ellen spends most of her time running round after her own animals: Tottie the horse who does eventing, Anoushka the rescue crossbreed dog and Tash the ‘stray’ cat who came home from work one day and she never quite got around to rehoming. 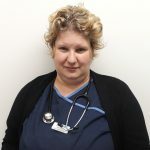 Helen has been at Priory Vets since 2007 and now works in the MiNightVet team as an out of hours nurse. Although at times this is a very demanding role, Helen finds nursing incredibly rewarding and feels very fortunate to be able to assist in the care of animals when they are in need. Helen has eight cats and one rabbit of her own who means the world! She has a keen interest in holistic health for animals and holds several complimentary therapy qualifications. Helen is also a qualified pet groomer and in her spare time enjoys grooming cats professionally as well as studying feline behaviour. 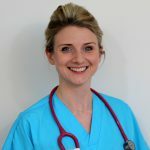 Stephanie qualified as a veterinary nurse in October 2009 and has achieved the Diploma in Higher Education Veterinary Nursing from Myerscough College. This award forms part of the RCVS Diploma in Advanced Veterinary Nursing. Stephanie worked for five years in a large referral hospital specialising in orthopaedics and neurology where she enjoyed theatre nursing and in patient care. 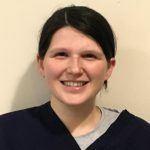 She joined the MiNightVet team as she has always been interested in critical care nursing and enjoys being involved with emergencies, especially those requiring surgery. At home Stephanie has two cats, three ferrets, two tortoises, tropical fish and a husband who keep her busy.